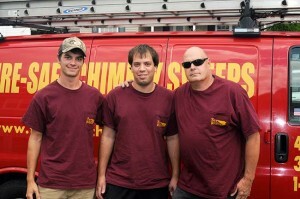 As Worcester County’s premier, full-service chimney firm, Fire-Safe Chimney Sweeps is pleased to serve Bishopville, Maryland. From annual cleanings and inspections to major masonry repairs or builds, we’ll make sure that your fireplace is safe to use year after year. We are native Marylanders whose family has lived and operated in our state for over 75 years. When it comes to chimneys and flues, there is no more experienced chimney company than Fire-Safe Chimney Sweeps. To request service, just give us a call or use our Service Request form. 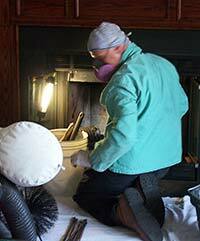 We clean oil and gas furnace flues, too! Bishopville is known for its working-class families and modest homes, many of which are heated by gas and oil furnaces dating to the mid-1900s. Gary and sons have extensive knowledge of these systems as the family business has been cleaning Bishopville’s flues and chimneys since these homes were built. If you live in Bishopville or Berlin, give us a call, we’re right around the corner! We look forward to the opportunity to service your fireplace and chimney. Call 800-833-3250 today or use our Request Service form.